Sometimes we feel that we have limited options as parents. As a result, we end up using the same old discipline tactics with our kids – even if they are not very effective. Luckily, there are many different ways we can effectively discipline and train our children. Here is a quick but comprehensive guide of 20 different discipline tools for Christian parents with tips and examples of their usage. 1. Whisper – This works when you need to get the attention of a child who is worked up over something. We might think that shouting gets attention, but often the opposite is true. The benefit is that it will help reduce your blood pressure as well. 4. Speak directly – Sometimes our kids don’t take us seriously. Making eye contact and delivering a direction or command in a firm but calm voice can work wonders. Try, “You may not take things from other people’s hands.” This is an effective way to get kids to listen the first time. 6. Ignore – This can go hand in hand with the previous tip. By ignoring the behavior you want to eliminate you remove its reinforcement. But this requires discernment. We can’t ignore violent, aggressive or unsafe behaviors. Temper tantrums and “pity parties” are good examples of behaviors that can be ignored. 7. Heart to heart talks – Sometimes we need to get to the bottom of an issue. If your child comes home from school with a scowl on his face and then proceeds to create tension wherever he goes, you have a child that is in need of a heart to heart. Letting him know you are available (and making sure you are) will provide the opportunity to get to the bottom of things. 8. Give choices – Controlling kids respond well to choices. Kids who like to have the last word can benefit from choice. Just make sure that both choices you offer are okay with you. “Would you like to clean up your room now or in 10 minutes?” This may be ineffective for children who like to choose what is behind door number three. 9. Heart of the Matter Parenting Cards – This tool is an original of Cornerstones for Parents. It will help you talk to your children about the condition of their hearts as reflected in their behaviors. Kids can use the cards to identify their misbehaviors, take ownership and discuss ways to make it right. 11. Separate – Sibling disputes often create tempers that are too hot to employ any of the above discipline techniques. Hard hearts need time to soften. Time apart listening to calm music or reading a book can do wonders to prepare the soil of your children’s hearts to hear wisdom and instruction. Just make sure that you are not jumping to this one because it makes your life better for the moment.Sometimes separating does not help. Using our conflict management system can be very effective when tempers have cooled. 12. Isolate –Children whose systems are easily overwhelmed need periods of calm in their day to settle their nervous systems. The problem is that they might not know they need it (similar to infants who become so overtired that they can’t fall asleep). We need to help our children regroup by providing them with the down-time they need during the day. Make sure the time period of isolation is not indefinite and check in on your child periodically to make sure that the intervention is having the desired effect. 13. Time out – This is the go-to tool for many Christian parents. It can be very effective if you know how to use it. Just make sure that the dollar store kitchen timer is not the only parenting you are providing in this situation. A ticking timer will not create lasting change. Time outs are a great opportunity to make time in for Godand there are things you can do if your child won’t stay. 14. 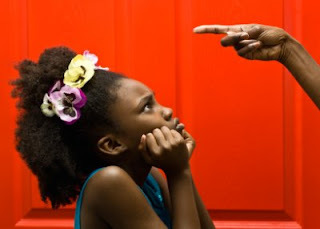 Natural consequences – These are those consequences that will naturally occur if parental intervention does not happen. “I am sorry that you forgot your gym clothes again but I will not bring them to school.” This kind of “hands off” discipline can be very uncomfortable for some, but the learning often results in rapid change. 15. Logical consequences – These consequences are ones that “fit the crime.” A child who refuses to pick up her toys will have her toys removed. A child who does not come to the table when called does not eat. A child who is rude and disrespectful to his parents will not be able to join the family on the next family outing. 16. Repayment – Making amends is a very important step in discipline. Children need to be held accountable for their behavior and how their actions made other people feel. Acts of service can demonstrate a repentant heart and can absolve a guilty stricken conscience. Some ideas include: making a sibling’s bed, making a snack for Mom, buying a new toy to replace a broken one, or a sincere note or drawing of apology. 17. Chores – In today’s industrialized society, most children are not subject to the chores and daily “discipline” that were so common in our ancestor’s agrarian society. Daily chores and participation around the house help create a sense of solidarity and appreciation for the work that goes into running a home. An additional chore or two for a child who is demonstrating a lack of appreciation can facilitate a fresh understanding. 18. Applied consequences – Sometimes natural and logical consequences just won’t do and you will need to add a consequence that is neither logical nor natural. Be careful here. We do not want to start doling out punishments that are fueled by anger. Check your motivations for any applied consequence. If you are feeling the need to “get back” at your child rather than train and discipline, take a moment to search your heart in prayer. 19. Loss of Privileges – This requires knowledge of your child’s “currency.” Removing a privilege that is of no value to your child will be ineffective. However, don’t be tricked by the “I don’t care” response to a loss of privilege or possession. Often the child cares very much. 20. Behavior chart – Sometimes extreme behavior requires an extreme response. A behavior chart is a short term solution to a chronically hard heart. Our behavior charts can help a child see and experience the blessings that come from obedience and the problems that result from disobedience. I hope that now you can see that you have many discipline options available to you as a Christian parent. Consider this list as your tool box. Whenever you need to address a problem behavior or situation, you can dig into your tool box and pull out the right tool for the job. But don’t just work on the broken “part” of your child (i.e. the behavior). Make sure you use your tools and God-given wisdom to dig deep and get to the heart of the child and the heart of the problem. Laura has a master’s degree in Child and Family Social Work and was licenced as a clincial social worker in 1999. She is also the founder of "Cornerstones For Parents" - a Christian parenting website filled with information, services and resources.